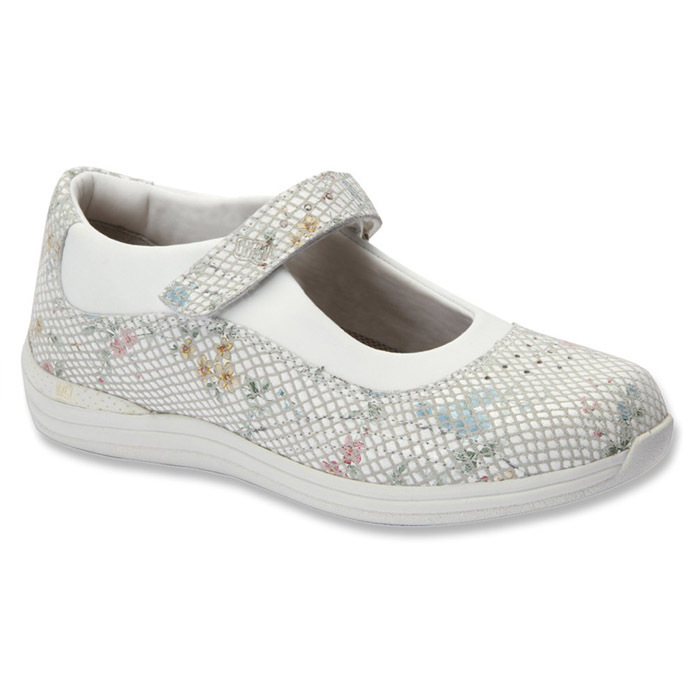 The Rose shoe, which is available in a range of colors is a very easy to wear strap court shoe. Some people who have tried a strap court in a normal shoe shop get a pleasant surprise when they experience the width and depth of the Rose at Happy Feet Pedorthics. 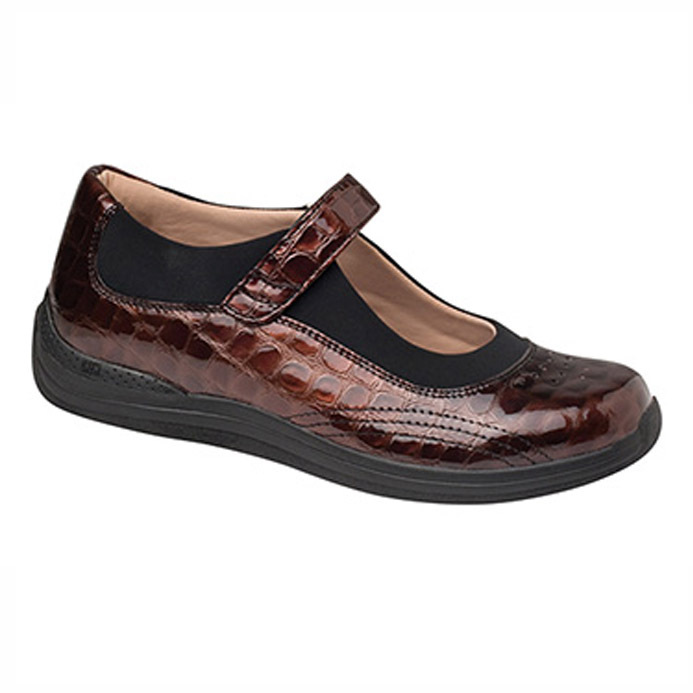 The padded topline is very kind on the foot providing additional comfort especially when there is some odema present. The Rose is particularly good for people with more minor foot health conditions. 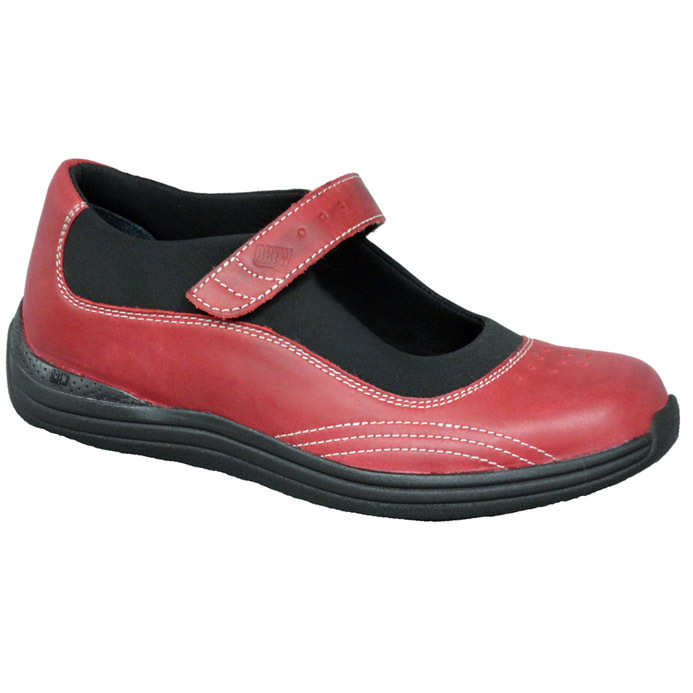 Has an ultra-lightweight polyurethane slip resistant outsole. 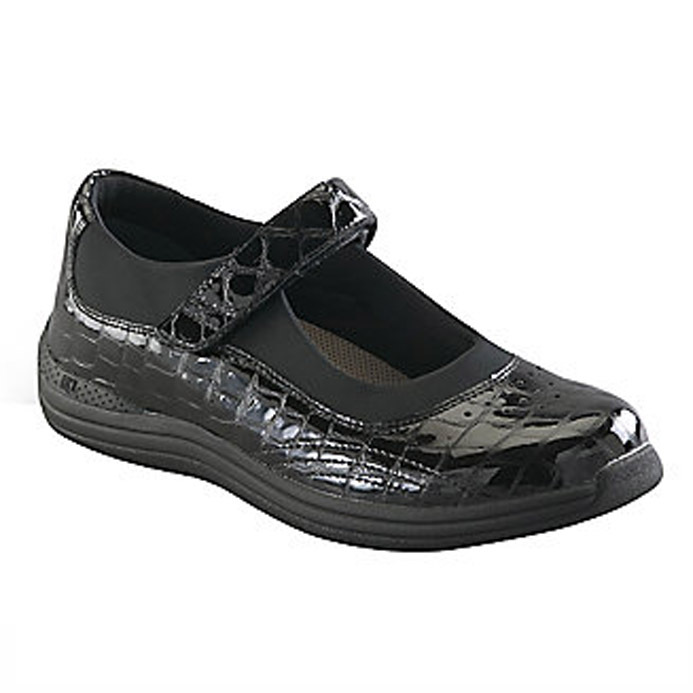 Has a steel shank which provides further stability to the shoe. An option of stretch vamp is available in navy, black and brown with the Magnolia by Drew. 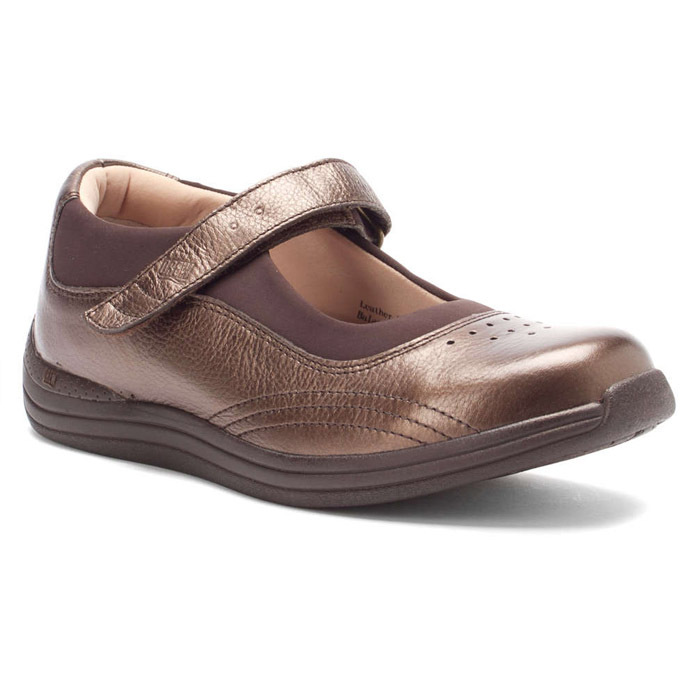 A person’s choice of footwear is influenced by foot health, personal preference and price. At Happy Feet Pedorthics, following the assessment and fitting we encourage what is best for the client’s foot health. Sometimes client choice is for a shoe which is not our first recommendation. At Happy Feet Pedorthics we advocate for best choices and we also respect client choice. 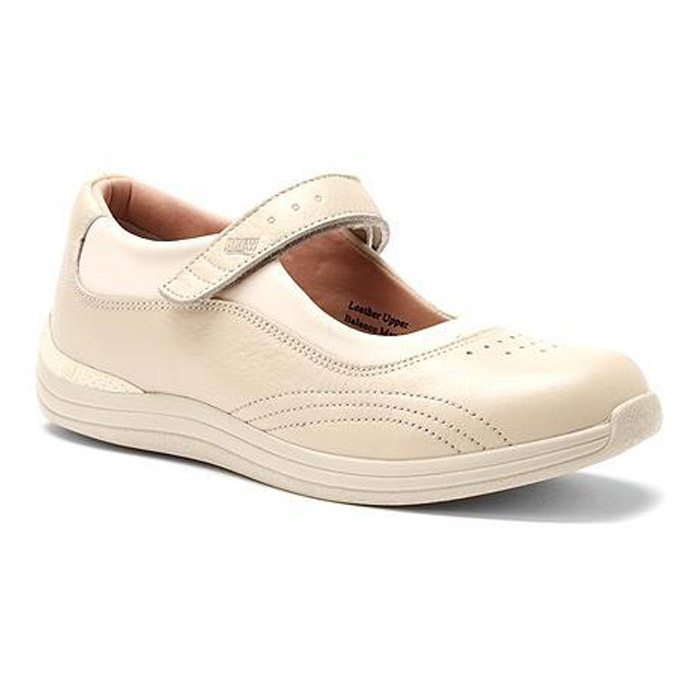 The list below indicates our experience of fitting people with varying health issues in the Rose shoe by Drew.